This model from Sky Marks is a snap-fit injection molded plastic model of the Boeing VC-24 Air Force One with a solid fuselage. The model is painted in authentic livery with highly detailed pad printed markings. 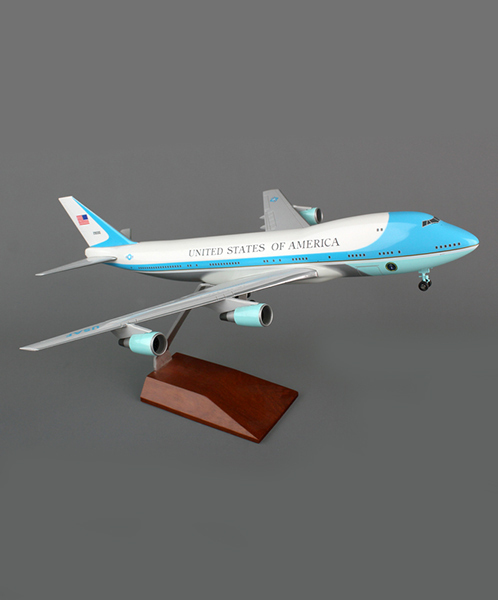 The Air Force One model assembles in minutes and features extended landing gear and display stand as shown.